Some children from Year 2B attended a multi-skills event at Robin Park Arena. They took part in a range of activities such as: dodgeball, balancing and obstacle courses. The children represented our school really well and all received a certificate for taking part. Playing tuned and untuned instruments musically and using their voices expressively by singing ‘Zoo time’ in Music. Take a look at the video that shows you a snippet of some amazing things we have been getting up to. We are looking forward to our next themed classroom ‘How far will the Faraway Tree take you?’. Playing tuned and untuned instruments musically and using their voices expressively by singing ‘I wanna play in a band’ in Music. We hope everyone has had a well-deserved break over half-term. We are all looking forward to World Book Day on Thursday 7th March. We can’t wait to meet the special guests that have been invited to attend. Miss Barnes is excited to see everyone dressed up in Fairytales and Folktales costumes. Comparing our own lives to the life of Mary Seacole in History. We have loved our recent Science lessons. We have had two special visitors. A midwife came in to talk to us about how babies grow and what they need to grow. A professional rugby player came in to talk to us about the importance of regular exercise and healthy eating. We have had so much fun! We had an amazing morning with Ranger Rob for the launch of our new topic ‘What’s hiding behind the habitat door?’. We learnt about lots of different animals such as, tarantulas, frogs and geckos. We were all really brave and held most of the animals. Can you believe we had a python across our legs? We are looking forward to the rest of the term. We are all so proud of our home projects. They look amazing! Thank you to the people at home that have helped us create them. We are all looking forward to the Christmas break. Year 2 have made poppies out of recycled plastic bottles. We learnt about the meaning of Remembrance Day and the Poppy Appeal. On Friday, we planted our poppies just before we held a minutes silence for those who lost their lives in the war. We thoroughly enjoyed Dr Dolittle day. We took part in a range of activities, such as, animal-themed crafts, a talk from the Dog’s Trust and feeding a goat! We are all looking forward to starting to practise for the Christmas nativity! See you all soon! We even had our own breakfast party to celebrate our first couple of weeks in Year 2. We are all looking forward to the rest of our time in Year 2. We can’t wait for our trip to Staircase House in November! 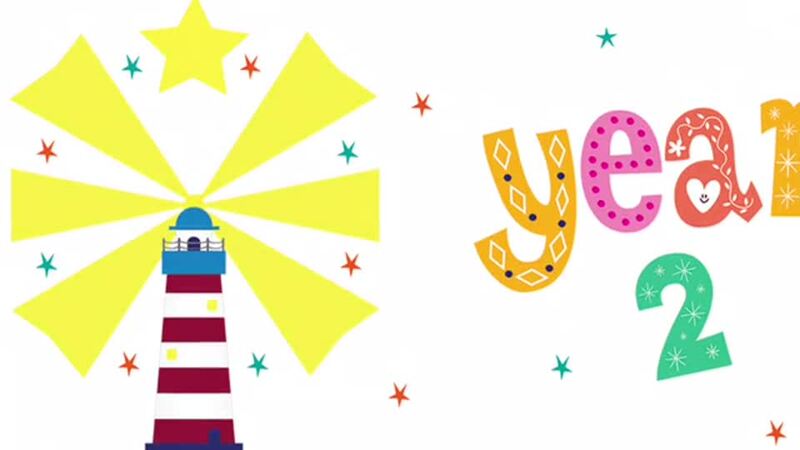 Welcome to Year 2a’s class blog, we hope you’re having a wonderful summer and are ready to start in September. Just a few reminders, can you make sure that PE kits are brought into school on the first day back; our PE days are Monday and Thursday. 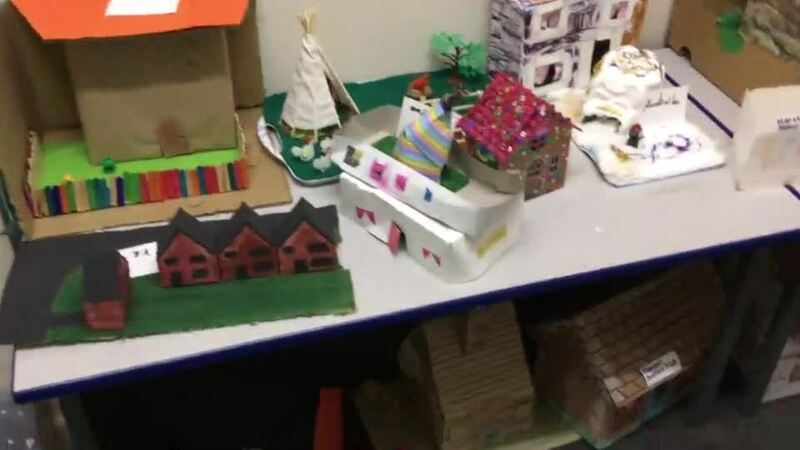 We are extremely excited to start our new topic “What makes a house a home” and we will be learning about homes from the past and other cultures. As part of this topic we will be going on a trip to Staircase House on Monday November 12th (information to follow). Just a reminder that homework will be given out every Thursday and is to be brought back the following Wednesday. In addition, your child will be given 2 reading books every Monday that they can enjoy reading to you at home during the week. Please don't forget to sign your child's reading diary so your child's books can then be changed. We are really looking forward to you joining our class! See you on September 4th ! - On the 5th June, the children took part in an Eco workshop. 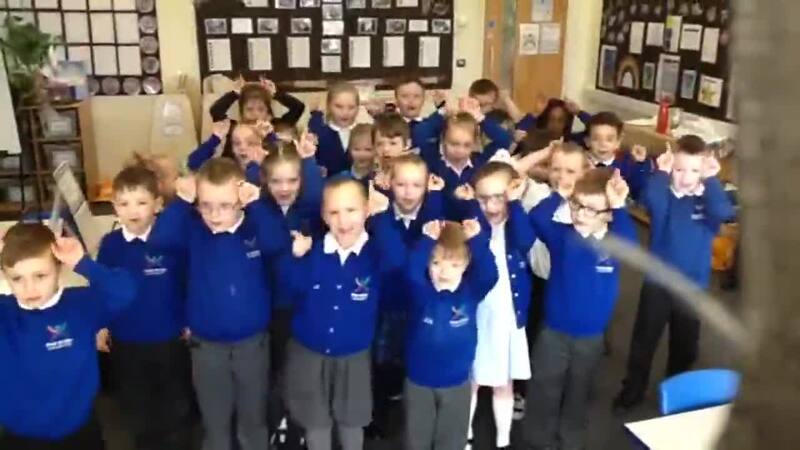 The children learnt lots about recycling and promised that they were going to try their best to help the environment. - The children enjoyed reading 'The Bravest Knight' in Big Read Week. The children took part in role play activities with swords and shields. They had so much fun! 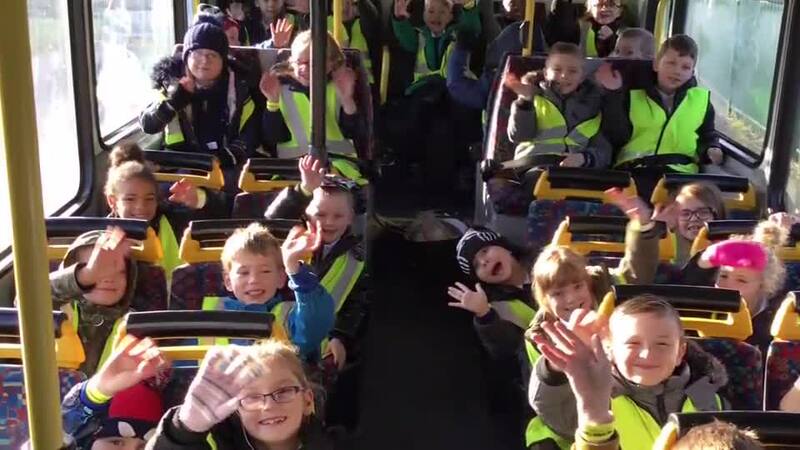 - On the 19th June, all the year 2 children went to Manchester Airport. 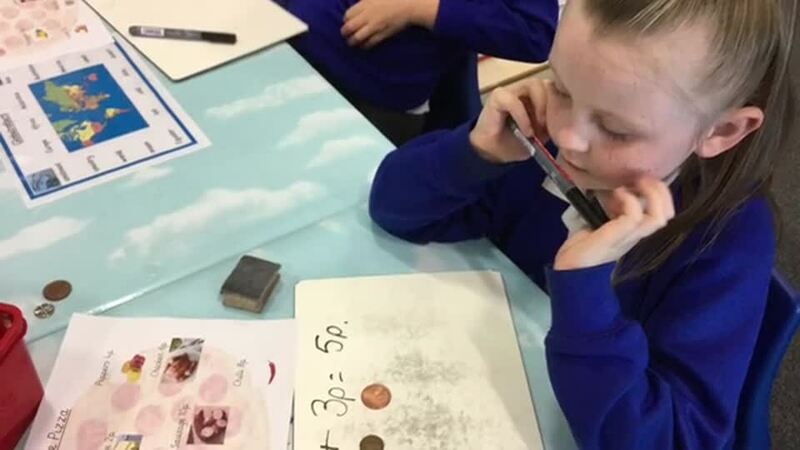 The children had a fabulous day learning about how planes have changed over the years, plane spotting, learning the different job roles at an airport and sitting in a real cockpit! - The children enjoyed the Well being enrichment at the beginning of May. Lots of children made their own fruit kebabs and thoroughly enjoyed them! - All children completed their SATs and each and everyone of them did exceptionally well. Miss Barnes was super proud! - A few children took part in the football tournament on the 17th May. Well done Macie Martin for receiving best player of the tournament. - Children enjoyed celebrating the Royal Wedding on the 18th May. The children took part in numerous craft activities and had some scrumptious cakes. - Had a visitor from 3 very special dogs! Well done to all the children in Year 2a, your home projects all look amazing. Key Stage 1 have delivered outstanding performances of the Nativity "Behind the Stable Door". The children were amazing choristers, singing beautifully to songs such as "Grumpy Camels" and "Gifts of Love". All the teacher and staff are so proud of their achievements. All the staff and children in Key Stage 1 would like to wish you a "Merry Christmas and best wishes for 2018". Take a look at our trip to Staircase House. Following a time capsule that took us to the Victorian times. Making Rice Krispie cakes to help us with our instruction writing in English. Den building with Matt from The School of Military. Our MFL taster morning where we learnt lots about Spain and sang a song in Spanish. Making our very own witch’s potion. Using the artefacts from the Victorian house to carry out different activities such as, washing clothes using a tub and board and then iron the clothes using an old fashioned iron that had to be heated on a stove to work. We are so excited for the next term, lots more learning and exciting things planned! I hope everyone has had an amazing summer. I can’t wait to hear all about what you have been up to. If you have any photographs of your holidays or of you visiting any exciting places please bring them in to share with the rest of the class. 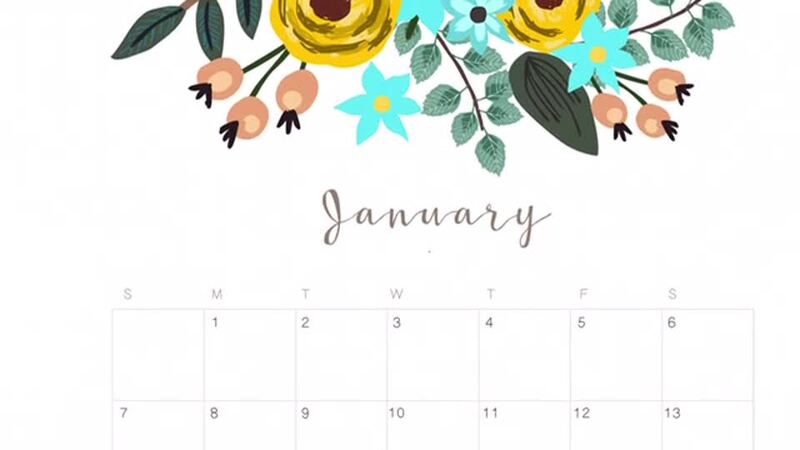 I can’t wait for the year ahead! See you all very soon! We had so much fun today! We enjoyed our ice creams, trying to surf and riding the donkeys! On Monday, Year 2 were lucky enough to go to Haigh Hall on our class trip. The weather was perfect! We walked through the plantations and saw the pigs, there was even a cute piglet. They were really smelly and loved playing in the mud. After that, we ate our dinner on the field, then we got to play on the park! There were lots of other children there too, so it was very busy. We enjoyed the swings, the fast slides and the climbing frames! Hopefully, we'll be able to again next year. On Monday 5th of June, we returned from half term to a really nice treat! We had a great introduction to big read week. The book we are focusing on is Enid Blyton's The Enchanted Wood and the Far Away Tree! We had lots of children dress up as witches and wizards and we enjoyed watching Magic Philip! He demonstrated lots of magic tricks and he even told how some of them were done. The children loved joining and being Magic Philip's assistant!! 2a won attendance of the week at last!!! Thank you for getting us all to school on time because we really enjoyed our reward of the giant inflatable! After returning from a nice, long Easter break, 2a were introduced to their new book that they will be writing about in English. The book was Hermelin the Detective Mouse and we went on a hunt around he play ground to look for clues about the story. We managed to work together to find all of the clues. World Poetry Day - Aliens from Planet Trouble! Please click here to view Year 2's presentation from their assembly on Thursday 16th March 2017. Dinosaur Day! Y2a made a great effort with dressing up today! The children all got to meet and stroke Rexi, but were careful he didn't bite their fingers off! We learned that Rexi was only 1yr old and that we he is fully grown he could be as tall as a double decker bus!!! The children enjoyed this great experience! Rexi made us all laugh and some of us cry! 2a had a fantastic day out at Martin Mere! We travelled on a double decker bus, which was exciting. When we arrived, we saw 3 otters playing with each other in their habitat. They were really playful, but we learned that they have sharp claws and webbed feet! We talked about how bats hear where their prey is and how they catch it effectively. We learned this by playing a fun game of Bat and Moth! Later, we walked around Martin Mere, where we saw lots of different types of ducks, geese and birds! We were even lucky enough to see flamingoes and black swans. We finished the day on the massive play area and although it was cold, we had lots of fun! Our day out tired us out, and a few of us fell fast asleep on the way home!!! Zzzzzzzz! 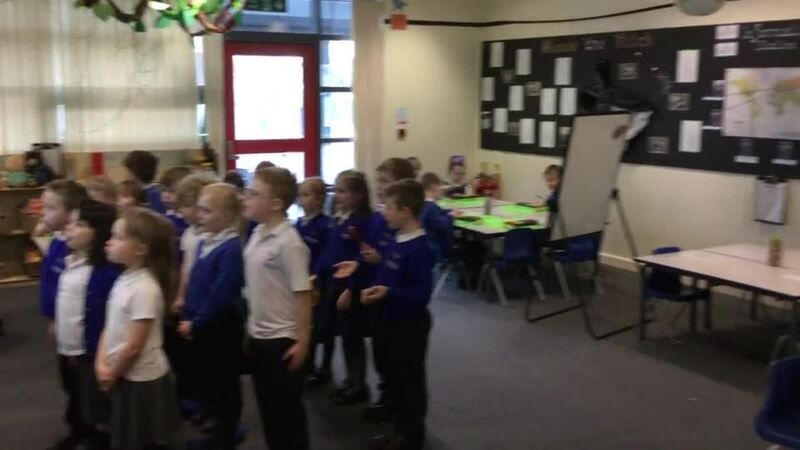 Reception to Y3 took part in the “Into the Screen Workshop” The children used well-known fairy tale characters to highlight the importance of keeping safe online, they worked in groups to navigate their way out of some tricky situations. Will the 3 Little Pigs tell the Big Bad Wolf where they live? Will Red Riding Hood notice that Granny looks a bit different today? And will anyone be able to stop the Ugly Sisters from being horrible to Cinderella? Through playful and fun storytelling, pupils learnt how to keep safe when playing on the internet and realise that the world inside the screen is perhaps not so different from the real world after all. As part of Science we worked with School of Military to help us learn how to look after ourselves. We talked about the food pyramid, a balanced diet and how exercise contributes to a healthy person. The children looked at their heart rates before and after exercise to see how it had changed. Matt encouraged the children to be the best that they can be! Hola! Today we enjoyed taking part in lots of different tasks for Spanish Day. We read Los Tres Cerditos (three little pigs), tried some delicious tapas food, enjoyed listening and dancing to Spanish music. Children made homes for our topic, What makes a house a home? Year 2A went to Belong to speak with residents about what Platt Bridge was like when they were young. after finding lots of clues on how to get there. We discussed how to stay safe around waterways. We planted up tubs and hanging baskets with flowers and cared for our vegetables. We are growing brussels sprouts, lettuce and broad beans. They are growing really well. We investigated how long it takes for different items to decay in landfill sites. We had an unplugged morning -A morning without electricity. We used the time to problem solve as a team. We reused plastic milk bottles to create our own hanging baskets. We planted them with strawberries, herbs and tomato plants. We went to see the Whopper swans and we looked through the binoculars to see them closer. It was great fun. We had to fill a sheet in about them. We went into a tent and played bat and moth and someone had to be a bat and someone had to be a moth. Then the bat had to try to get the moth but the bat and the moth had to close their eyes. We all went to see the Otters. The Otters were playing, swimming and chasing each other it looked funny. We saw their homes and they had little oval doors. There was half of land and half of water there was some stones and sand on the land.